MicroSoft Office is the most popular user interface for writing, making and editing documents, presentations, spreadsheets, graphics and databases. 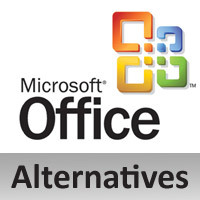 There are lots of other softwares available alternative to MS Office software in online for Windows PC | laptop . So here are some best MS Office alternatives for Windows 8.1, 7 and Mac available for free download. Apache OpenOffice is the leading among all. Being an open source software makes it available easily. It is available in many languages and works on almost every computer. It can read and write from other softwares also. It is extremely easy to understand and learn. Apache Open Office 4.0 is a complete package. LibreOffice is a free and open source software, by The Document Foundation. It has its own format to save documents but support all other formats. If you’re looking for a completely changed interface, go for it. Being available in 114 languages makes it useful for databases in local language. It’s a free and open source software word processor. It is the software originally designed by SourceGearCorporation but they made it an open source software after some time. It runs on almost every operating system. Abiword is considered as the most basic yet very detailed. Abiword 2.8.6 is the latest version and is the best ms office alternative. Zoho docs have a comfortable layout, MS word users will find it familiar and easy to use. It includes everything that a complete office has. zoho docs interface is similar to MS Office 2003. It has less font style than MS Word. 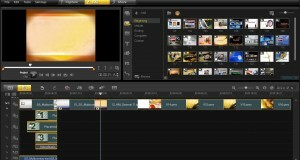 They also have integrated it with some apps and plugins for MS Word and Excel. Etherpad allows you to edit and write documents on the go, it is very handy software and yet small in size. No. of people can do work by connecting via the internet, making it good for meetings. You don’t have to email your documents, just give them its link. The above are the best MS Word Alternatives available for free.